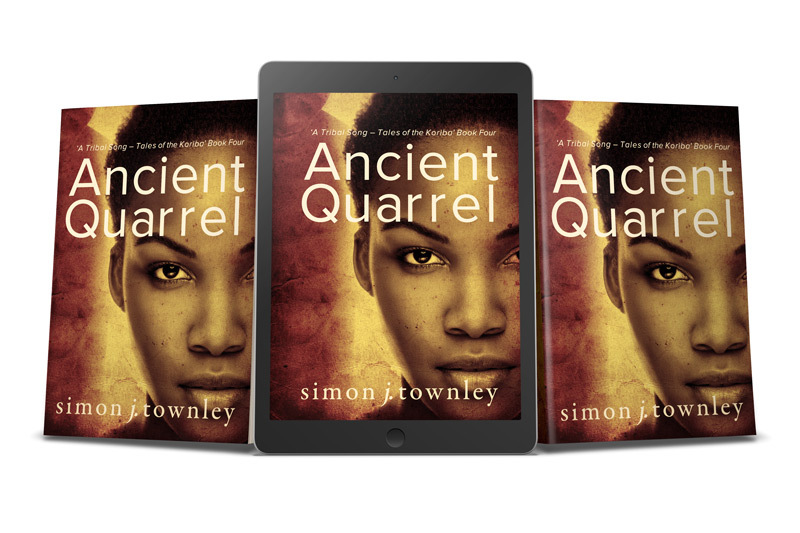 The fourth book in the series ‘A Tribal Song – Tales of the Koriba’, a prehistoric adventure set in the deep stone age, is out now and available as an ebook on Amazon. It will be available as an ebook on other retailers at some point during 2018, and will be released as a paperback soon, hopefully this side of Christmas, if all goes well. The book works as a standalone story, so if you’ve not read the others, you could dive straight into this, although it clearly contains lots of spoilers. This tale is a love story. When Temfe goes to visit the elders of a tribe that blocks their progress, hoping to plead for safe passage, he takes along his friend, the impetuous, handsome warrior Arom. While in the camp of the Peult tribe, Arom sees the beautiful young woman of the Peult tribe, Lajula, and is instantly infatuated. Luckily, she feels the same way about him. But her father is less impressed. And the rules of her tribe forbid her to be bonded to an outsider. And as we all know, the course of true love never runs smoothly. It is, of course, Romeo and Juliet back-dated into prehistoric times, but with some fresh twists, especially around the ending.